Whether you are currently going through a bankruptcy or you have already been discharged, obtaining vehicle financing with bankruptcy on your credit will be a challenge. One question you need the answer to is, "is a down payment required for a bankruptcy auto loan?" Chances are that you do not have a large amount of money lying around to put down on a vehicle, but that doesn't mean you will not be able to get financed. The answer from most lenders will be yes, you will need some sort of down payment, and the amount of the down payment required will be determined by the lender. Most lenders require a down payment because you are more likely to repay the loan, and not default, if you have invested your own money into the car. The more money you put down on a car the lower your monthly payment will be because the down payment will go toward the total cost of the vehicle. If you have a lower monthly payment you will be more likely to make the payments on time, and not default on the loan. 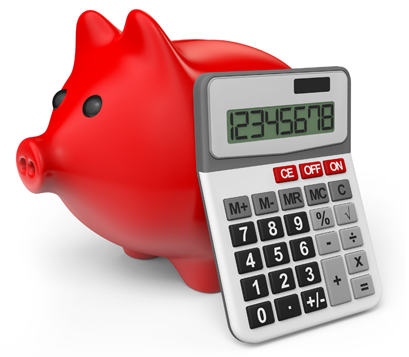 Use our bankruptcy auto loan calculator to see how much your monthly payment will be after your down payment. A down payment may reduce your loan term for the same reason. The down payment will go towards the cost of the car, meaning you have less to pay. If you have less to pay then you will need a shorter amount of time to pay it in. What If I Have No Money For A Down Payment? Although it is rare, there are some cases where a down payment is not required, though most require a trade in. The lenders that we work with at Bankruptcy Auto Financing have special financing for car loans after bankruptcy and will try to work with you whether you have a large, small, or no down payment. You can get started by filling out our online application today. As always, please remember we are not lawyers and cannot give any legal advice. This article is to only give you some examples of the experiences we have had over the years. Each case is different, and the outcome may vary with each customer.